Hill Stations are among the first and foremost attractions of tourism in India. They are located across the Himalayan range (from North to North-East), Central India and in South India. High mountain peaks, snowy hills, glaciers, meandering rivers and beautiful lakes, lavish green valley covered with a large variety of flora and fauna and off-course opportunities for all kind of adventures activities; are the key features that make hill-tourism a satisfactory experience. Jammy and Kashmir, Uttarakhand, Himachal Pradesh, States of North-East and Hills of South India cover the major hill-stations. In J&K, Gulmarg, Patnitop, Pahalgam and Ladakh Valley are the must visit places. Gulmarg is a cup shape valley, its name means the ‘meadow of flowers’ and it is 56kms far from Srinagar. Gulmarg is a base camp for the trekking and mountaineering activities, the Heli-skiing resort is the most famous resort of Asia in its category and the recently started Gondola lift gives you an enormous view of valley from the high sky. The Ladakh valley is situated at the high altitude of 25000 feet in Karakoram Himalaya and contains two small ranges namely, Ladakh and Zanskar. It is the paradise of trekkers; Rohtang, Zojila, Kargil and many other passes situated in Zanskar makes the journey more thrilling. The spiral and wavy rivers like Zanskar, Suru and Shyok increases the beauty of this snow desert. Ladakh is also the lands of Buddhist Gompas and Tibetan mural paintings. Patnitop is 110 kms from Jammu and is popular for its lush surroundings of pine woods and fresh-water springs. It is also an ideal place for walks in mountains, and base camp for many small and long-range treks into the nearby mountains. Himachal Pradesh is gifted with heavenly beauty of nature, the capital city; Shimla is called ‘Queen of Hill Stations’, is popular for the narrow gauge Kalka-Shimla Toy Train. A small place named Kufri nearby Shimla is popular for skiing and trailing activities. There are 3 main valleys with splendid scenic beauty namely Chamba, Lahul-Spiti and Kullu in H.P. Chamba is situated among 3 snowy ranges that are Dhouladhar, Pir-Panjal and Zanskar, it is connected with Pathankot via rail and daily bus services from Dalhousie. The valley offers a number of places to visit, such as, temples, palaces and the hidden valleys of Pangi and Parbati. Kullu is a small town situated in Manali, a famous honeymoon destinations and an ideal spot for Heli skiing, training for mountaineering, rock-climbing, skiing etc. Kullu-dussehra is also a popular festival among the domestic and foreign tourists. Apart from adventure, Hidimba Devi Temple, Great Himalayan National Park and several other Hindu Temples, lakes, picnic spots are the attractions of Kullu. Manali is also a gate-way for Lahaul-Spiti valley. Uttrakhand’s main hill-stations are Dehradoon, Valley of Flowers (Chamoli district), Haridwar, Rishikesh and number of other places can be counted in. Almoda is a small town, combination of nature’s beauty and tradition; Nanda Devi Temple, Mall Road for the picturesque view of traditional architecture of city and Bhinsar (Hindu pilgrim) and Jaageshwar (Jyotirlinga) are the major seeing places of this town. Mussourie known as the Queen of Hills and considered as the best hill station of Northern India; is famous for its nearby hills for trekking and climbing. Apart from that, Kempty-Fall, Sahastra-Dhara, Gun-Hill etc. are prime attractions for tourists. In Nanitaal; Bhimtal, Naina Devi Temple, Naini-Lake and Bhuwali are major sites to visit. Auli is a breathtaking destination, situated in Chamoli district(snowy Garhwal Himalayas) and gives 180 Degree amazing view of many Himalayan peaks like, Nanda Devi, Kamet, Mana Parbat etc. its’ a dream destination for skiing, paragliding and all other kind of mountain sports. Kausani (Bageshwar district) is a destination for those who want to enjoy the serene beauty of forests and mountains in a peaceful way. In East and North-east; Darjeeling, Gangtok and Kalimpong are the must see places. Darjeeling is located in West Bengal and popular for its Toy-Train between Siliguri and Darjeeling. Kurseong, Tea Gardens of Happy Valley Estate and Himalayan Mountaineering Institute and Museum are some of the popular destinations in the city. Gangtok the capital of Sikkim is a mystique place of Buddhist Monasteries like Rumtek-Math and Pagodas; also famous for its Kangchendzonga National Park and Deer park. Shillong; called the ‘Scotland of East’ is 103 kms away from Guwahati. There are a number of mythical legends and stories are attached with Shilong and it is famous for mesmerizing water-falls, stream, lakes and pine wood forest. Tawang district of Arunachal Pradesh is one of the eastern most places of India and near to Bhutan border. Losar festival, celebrated in February is a New Year Festival and Monpa Dance Festival is important occasions when the tourist can see the culture of local Monpa Tribe. The Tawang Monastery is one of the important monasteries of Buddhism in world. Tawang is connected with Tezpur (Assam) by air route also reachable from Guwahati and Tezpur by road. 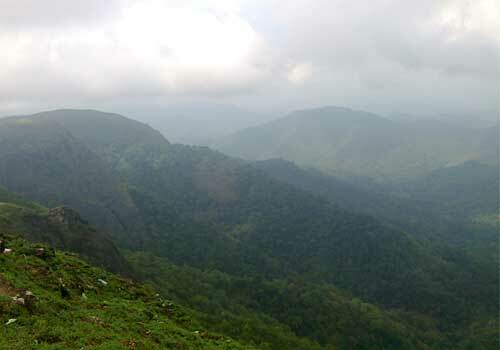 In western India, Maharashtra is major attraction for hill stations. Panchgani is a famous spot, far from the noise of metro cities; it is situated at the banks of River Krishna and provides an astonishing view of river at one side and plain coast at another. Pune is the nearest railway and road route for Panchgani. Mahabaleshwar is a colonial era summer holiday place; situated in Satara district. It’s a good place to enjoy horse-riding in lush green lanes, boating and for resorts and health spas. Mount Abu in Rajasthan is popular for their snaky road that passes among the dense forests and Gurushikhar which is the highest peak of Rajasthan. In south, Ooty (in Nilgiri district, Tamilnadu) is famous for the splendid view of vast Grasslands, Tea-Gardens and Dodabetta Peak of Nilgiri Mountains. 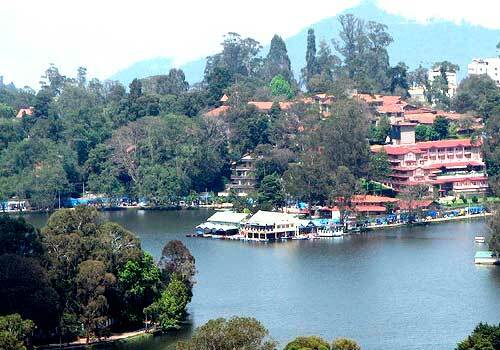 Kodaikanal is one of the most famous hill stations of South. It is a peaceful place yet offers small treks in Palani Hills and known for Flower and Fruit shows and Boat Races. The ‘Kurinji-Flower’ which blooms once in a year is the unique feature of this small town. Nilgiri Mountain railway; a World Heritage Site runs between Chennai to Mattupalaiyam gives you a 10 hour journey from the one corner of Nilgiri Plateau to its last end. Munnar, which is also known as the “Kashmir of the South” is yet another beautiful hill station in South India and this amazing hill station destination in Kerala is well known for its amazing landscape beauty and the sprawling tea plantation. Also do not forget the natural beauty of Ooty in Tamil Nadu, which is also a beautiful hill station in the South of India. This entry was posted in Destinations and tagged hill stations of india, major hill stations in india, travel hill stations india, vacation hill stations india. Bookmark the permalink.